It is every parent’s worse nightmare but each year children go missing. Thankfully, they are usually found safe and sound but for some parents the nightmare never ends. At Easter 1969 April Fabb, 13 years old, set off on her bicycle to deliver a birthday present to a relative in Metton, Norfolk. She stopped to talk to some friends before cycling on. Nine minutes later, she disappeared. Her bicycle was found in a field close to her home. Nine years later, on a summer’s afternoon in 1978 Genette Tate (born 5 May 1965), also 13 years old, set off on her newspaper round. She was last seen at 3.30pm and, just a few minutes later, her bike was found in a country lane, newspapers strewn all around but of Genette there was no sign. Ben Needham (born 29 October 1989) disappeared on the Greek island of Kos on 24 July 1991 where he was living with his mother, Kerry. His mother and grandparents were redecorating a farmhouse and Ben was just a few metres from them when he was taken. The highest profile disappeared child of recent years has been Madeleine McCann (born 2003) who disappeared while on holiday with her parents and siblings in Praia da Luz, Portugal on 3 May 2007. Madeleine and her siblings were left alone in their holiday apartment at 8.30pm while her parents Gerry and Kate went to a tapas bar with friends. 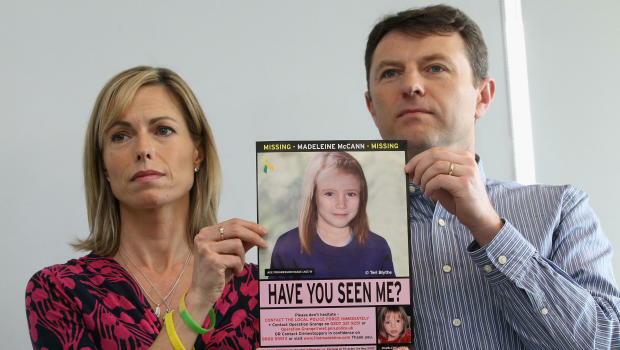 The McCanns noticed their daughter was missing at around 10pm. For a time the McCanns were named as official suspects by the Portuguese police. Metton, Norfolk, England (Fabb);Aylesbeare, Devon, England (Tate); London, England (Allen); Kos, Greece (Needham); Praia da Luz, Portugal (McCann). The Norfolk police sent their file on April Fabb to their Devonshire counterparts when Genette Tate went missing. The Devon police interviewed more than 9,000 in the hunt for Genette Tate, spending over £1 million in the first year alone. John Tate, Genette’s father, founded International Find A Child to raise public awareness of missing children. A suspect in the Tate case was Robert Black, a convicted child killer, but he denied any involvement. No trace has ever been found of Martin Allen. Kerry Needham married and has a daughter but hopes that whoever took Ben has cared for him. On 21 July 2008 the status of suspect — arguido — was lifted on the McCanns. April Fabb, Genette Tate, Martin Allen, Ben Needham and Madeleine McCann remain missing.